All programs are free and appropriate for visitors of all ages. Children ages 12 and under must be accompanied by an adult. 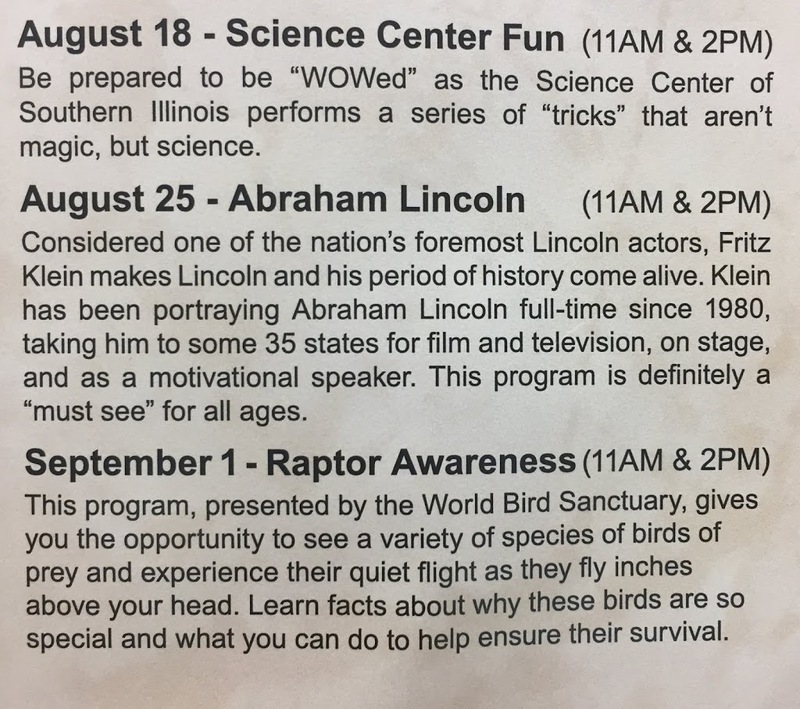 Unless otherwise stated, programs will be held at the Rend Lake visitor Center, located on the west end of the Rend Lake Dam. 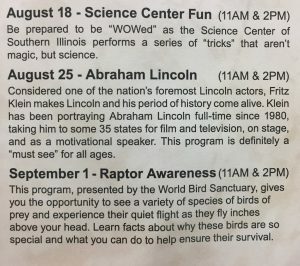 For more information, call the Rend lake Visitor Center at 618-724-2493. You may also visit their website at www.CorpsLakes.us/Rend and ‘like’ their Facebook page at Rend Lake Project Office/Visitor Center.